Halo Diamond Engagement Ring for 1.00 Carat Round | Shane Co. This dazzling engagement ring is part of our exclusive Eternally Yours collection and glimmers from 60 round diamonds, at approximately .44 carat total weight, pavé-set throughout. The design is created to hold your chosen 1.00 carat center round diamond flush with the halo. 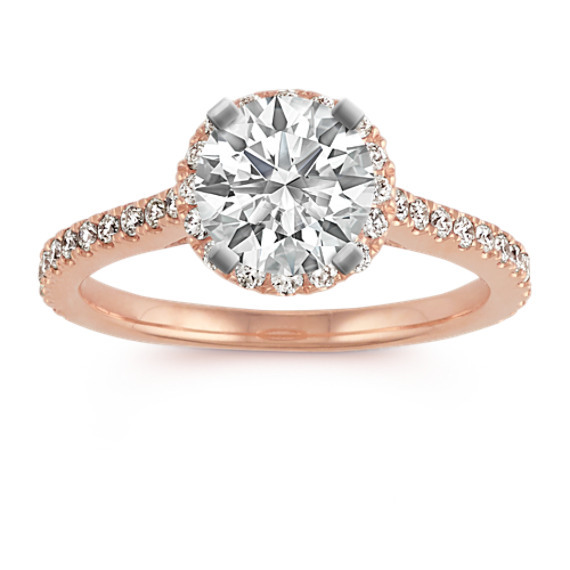 Each diamond in this 2mm ring has been hand-selected for exceptional brilliance and crafted in quality 14 karat rose gold.